US citizens- a Visa is not required for visits of up to 14 days for tourist or business travel to this country, but a valid US Passport is required. Any US citizen who wishes to travel to Lesotho for any purpose other than tourism or business negotiations (e.g. work, study, adoption, immigration, or stays longer than stipulated in the entry requirements) should contact the embassy or nearest consulate directly. Austria, Australia, Belgium, Canada, Czech Republic, Denmark, Finland, France, Germany, Iceland, Italy, Luxembourg, Netherlands, New Zealand, Norway, Portugal, Spain, Sweden, Switzerland and United States. The Lesotho Visa Application form should be carefully completed in the applicant’s own handwriting. The following documents must be produced before consideration can be given to the application. Police Clearance from country of origin. However, Representatives of tourist groups, well-known businesses, Government/ or International Organizations and holders of service (Official) and Diplomatic Passports are exempt from the policy. *Please note that all applicants need to apply for transit visas to Lesotho from South African Missions/Embassies. The issued visa does not absolve the holder from compliance with the Immigration Regulations, neither does it guarantee admission. A vaccination certificate is required from visitors coming from countries where cholera or yellow fever is endemic. 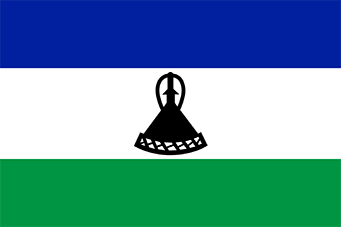 Application for work permits should be made in Lesotho within the first (30) days. A valid, signed US passport. The passport must have at least 6 months remaining after the completion of your stay in Lesotho, and contain at least one blank visa page. Processing Time: Two (2) business days. Lesotho does not maintain a consular office in Canada. Therefore, Canadian residents may apply through Washington DC.